Hi! I wanted to take a minute to welcome in spring, and to show you one of the gorgeous new faces from Essences available at Skin Fair (Essences is on Sim 3). Meet Paris! I really, really love this skin. It’s youthful, but not super young. I love the lightly glossy lips, too. My gorgeous jewelry is the Satine set by Cae available at Serafilms tribute to Moulin Rouge. Moulin Rouge is one of those movies I keep meaning to see. I know, I know. My cute little dress is by SySy’s for the current round of My Attic. It comes in a variety of pretty colors and I love it because it’s simple which makes it versatile. It will be easy to dress up (or down!) depending on your needs and wants. 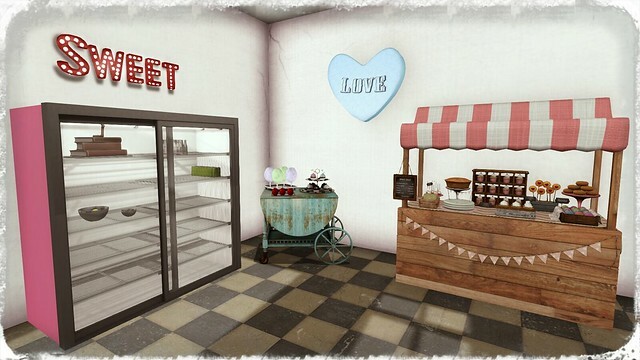 My super cute hair is also at My Attic, from Tableau Vivant. Oh, and did I mention the dress has matching sandals!?! Yep, SySy did SLink add-on sandals for My Attic, too. They are the perfect wedge heeled espadrilles that will enhance any spring/summer wardrobe! 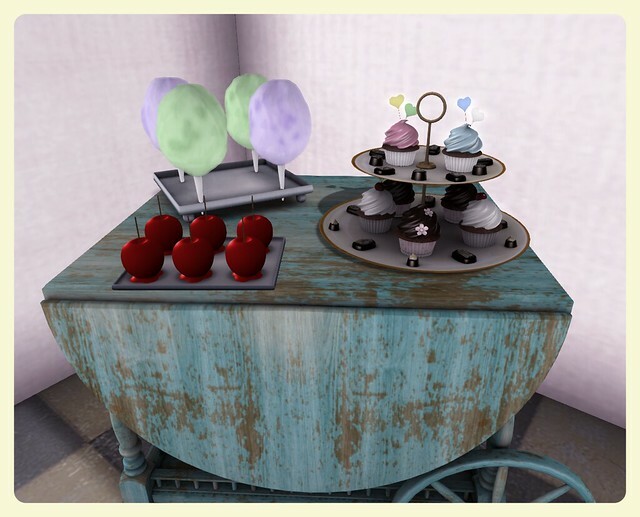 Be sure to stop by all three events before they end to check out the goodies! PS. About the location… I swear I LM’d the location. I always credit locations. Well, my entire LMs folder of places I go to shoot pics is gone (very sad) and this place mysteriously is not in my recent teleport history, either. I tried to find it again, but failed. So if anyone of you recognize the sim, please feel free to say so in the comments or send me a message and I will update this post! Thanks! Skin Fair 2014 has begun! And anyone who knows me understands that, for me, this is SL heaven. In this post I have two gorgeous skins to show you, and I decided to take advantage of Skin Fair to also show off some lovely Blacklace lingerie! First up, you may have heard all about SLink’s awesome new mesh head, Visage. There are two versions of Visage available at the moment, and I am showing you Becky. 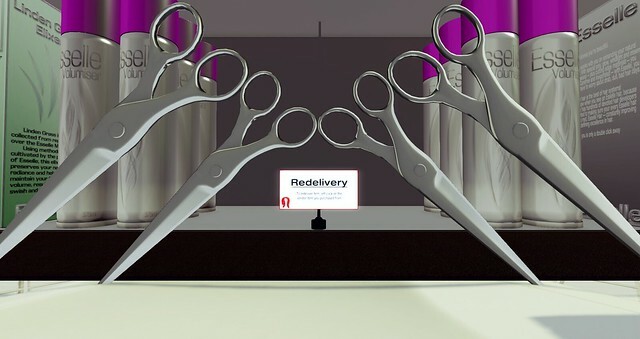 The incredibly awesome thing about this mesh head is that Siddean Munro of SLink has allowed other creators to make appliers for it, just like with her mesh hands and feet. Oh, the other awesome thing is that unlike the mesh heads I’ve tried in the past, you wear your own eyes with this head. Since I am really freakin’ picky about eyes, this was something that simply delighted me. 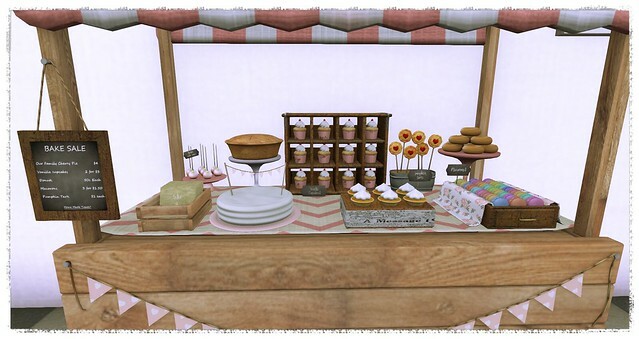 Glam Affair is among several stores to have released appliers for Visage, and their first release is a version of the brand new Romy skin that is having its debut at Skin Fair! I am wearing the Becky head with the Romy applier in the pictures below. Here’s a closer look! I am using the open mouth facial expression. There are plenty of fun options, and I’ll show you some more in future posts! Another skin that I fell hard for is the new release from League! Erin is just gorgeous. In fact, I couldn’t decide which makeup I loved most, so I uhm, fatpacked it. I decided to pair Erin with one of Blacklace’s St. Patrick’s Day offerings because it just seemed appropriate. And here’s a close up of this gorgeous new face! I have plenty more to show you from Skin Fair. 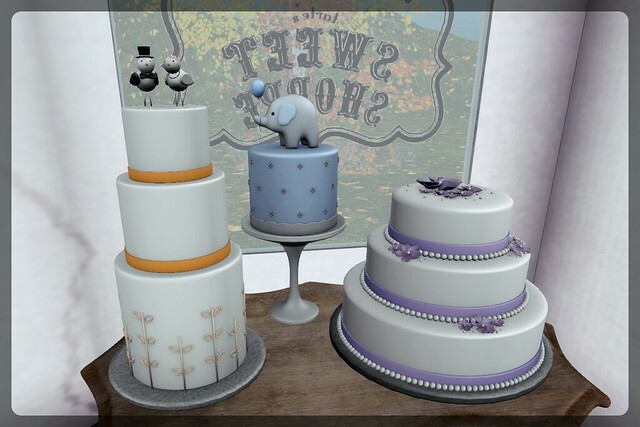 You’ll find Glam Affair on Sim 1 and League on Sim 2. 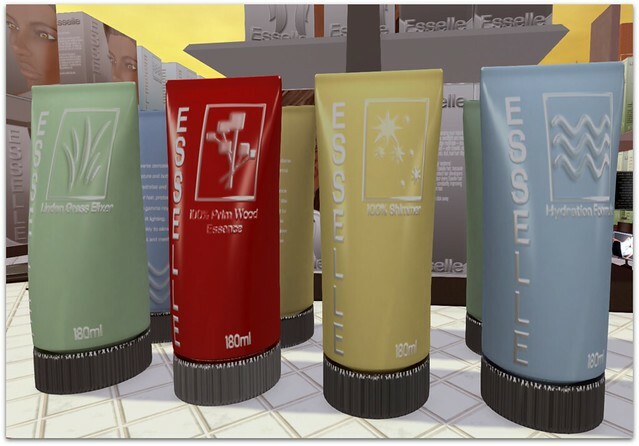 For more info, including Sim Maps, please visit the Skin Fair 2014 blog! PS. Skin Fair is using a script counter. Please be sure to remove any unnecessary scripted items before you tp in. This is done to help reduce lag and make the event more easily navigated by all. The sounds of a seaside boardwalk. The fun of the games. The seemingly endless stuff you can win. The Arcade is wonderfully exhausting. So, here I am, in my gorgeous Scarlet Creative home from The Arcade, sitting in comfy Junk chair from the Arcade, surrounded by various Arcade goodies, like my cute little Kerfluffle sheep from Half+Deer. And my adorably messy Tableau Vivant hair! 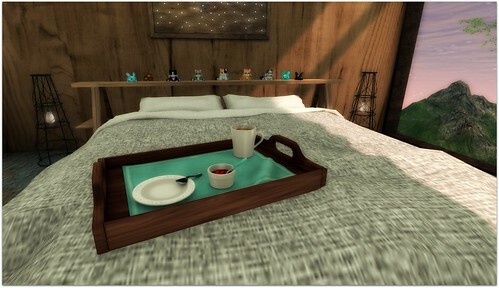 All that pretend lever pulling makes an avatar hungry… thankfully MishMish had some yummy goodies in their machine, so I can have breakfast in my Scarlet Creative bed. 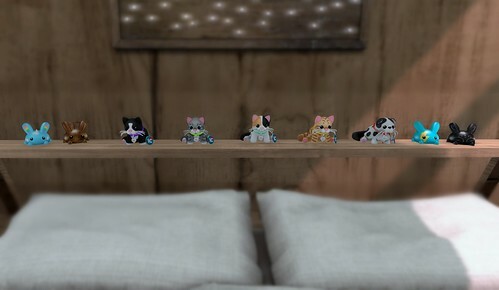 I made a lot of new friends… Intrigue and Schadenfreude have adorable little critters that just HAD to come home with me. Definitely be sure to check out this event… as usual it’s pretty freakin’ fantastic. I feel like December has just been running away from me! How is it already almost Christmas?! Well, I have a few things to share, and I won’t ramble on (well, I will try not to) because I know many of us are rushing about trying to get ready for the holidays. But can I just say this about December? Holy events and sales! I do love December, even if it likes to sneak by me. First up, I borrowed my BFF Rosa, and we got comfy in this adorable igloo from What Next. This igloo is What Next’s Arcade offering for this edition, and you have time still to go try your luck. I’m using the Oh Deer Rare version because I love the little mailbox that is included in the rares. Oh, the pretty, sparkly kittens keeping Rosa company (while I am on the lookout for polar bears!) are two of the Purr Balls from KittyCatS holiday collections. There will be more pics of holiday kittens to come because somehow I wound up with ten of them! I know, I know. I need an intervention. My adorable coat dress, hair and boots are both Collabor88 items. The dress is from The Secret Store, the hair (with hat) is Lamb, and the boots are Ingenue. Next up on the agenda! Blacklace always does the loveliest lingerie, and you can count on Mariska Simons for gorgeous seasonal versions, too. This set is one of the Oakley sets designed for those special festive moments. In my case, it’s relaxing on my new Tia sofa that I snagged at The Garden. I bought the entire living room set. I love the vintage design, and it’s hud controlled with texture change options. I’m using one of the seasonal ones, but it has plenty of gorgeous year round options, too. Speaking of vintage, how awesome is the space heater? I HAD to have that. It’s from 7 Emporium for The Mens Dept and it’s beautifully made, like all 7 items (and can be turned off). My hair is Melita, one of the six new styles Truth recently released, and I love the long, loose curls pulled over one shoulder. The house I am in is the Trilby Dacha, Scarlet Creative’s absolutely stunning Collabor88 home for December. Finally, I have to show you this gorgeous new Glam Affair skin, Kaelyn. I love this skin. It’s just so soft and beautiful, which is classic Glam Affair. I am also debuting my new shape (only the face is different). I got bored! Rosa says I don’t look like “her Lucie” anymore, but I’m loving the change. My gorgeous eyes are the latest release from IKON, and they are mesh! 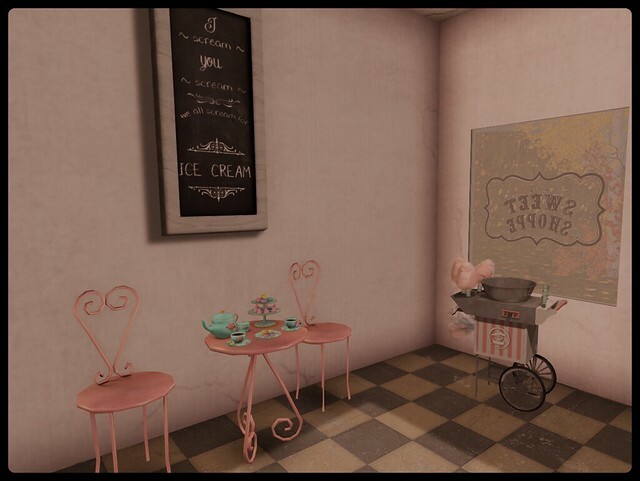 You can find them at the current round of FaMESHed. I hope to do a decor post tomorrow! I have so many wonderful Christmas goodies to show you. Seven Emporium: Portable furnace The Men’s Dept.